Sport Price Study reveals that a Barcelona and Bayern Munich season ticket is cheaper than any of England’s 92 professional clubs! The survey found that Arsenal were the most expensive club in Europe to watch via a season ticket, the price of which ranges from £1,014 to £2,013. Their cheapest season ticket costs more than the most expensive equivalent at every other Premier League club apart from Chelsea (£1,250) and Tottenham Hotspur (£1,895). Barcelona fans can get a season ticket for as little as £103.38, with Bayern not far behind at £109.65. That is cheaper than any of England’s 92 professional clubs, where prices start at £150 – at Charlton Athletic. City’s cheapest season-ticket is £299. 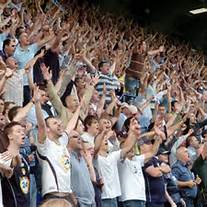 Published three months after supporters demonstrated against the spiralling cost of attending matches in England for the second successive summer, the survey found it to have risen by almost twice the rate of inflation since it began in 2011, with fans of Premier League clubs now paying almost four times the amount for a season ticket compared to supporters in Germany. The study found that the average price of the cheapest match-day ticket across all four divisions was £21.49, up 13 per cent since 2011, compared to a 6.8 per cent increase in the cost of living. Compared to 12 months ago, the cheapest match-day tickets were up 4.4 per cent, from £20.58 to £21.49, more than treble the current rate of inflation, which is 1.2 per cent. The average Premier League season ticket now costs £508, compared to £138 in the Bundesliga. The cheapest match-day ticket in the Premier League has risen by 15.8 per cent, 31.7 per cent in League One and 19 per cent in League Two. Only in the Championship has it dropped – by 3.2 per cent. Arsenal have dropped their most expensive match-day ticket from £126 last year to £97. Chelsea have the highest-priced cheapest match-day ticket of all the Premier League clubs – prices at Stamford Bridge begin at £50. Derby County and Sheffield Wednesday both boast £10 match-day tickets – the cheapest in English football and only matched by Southport in the Conference. The survey exposed the region patterns in price variations, with London the most expensive city to watch Premier League football. However, Charlton emerged as having the cheapest season ticket in the top four divisions in England, with only Conference side Eastleigh (£105) cheaper. The average price of the cheapest match-day ticket in Scotland’s top flight, meanwhile, was shown to have increased by almost eight per cent since 2011 – from £18.92 to £20.42. Peterhead charge £90 for their cheapest season ticket – cheaper than anywhere else in the top four divisions of Scottish football and cheaper than the top five divisions in England. The Scottish League One side also charge the least for a match-day ticket, at £6. The most expensive season ticket is sold by Celtic, at £600. The study also reveals the cost of merchandise and food and drink in English football. In the Premier League, the two Manchester clubs – United and City – charge the most for an adult replica shirt, £55, with Hull City boasting the cheapest jersey at £39.99. Conference club Barnet charge £49.90 for an adult shirt – more expensive than the price charged by 11 Premier League clubs. In Scotland, Celtic’s adult shirt is most expensive at £53. The cheapest is £30 at Brechin and Alloa. The Conference is also the home of British football’s most expensive pie, Kidderminster Harriers’ award-winning £4.50 offering. Championship club Brighton & Hove Albion are the next most expensive at £4.10. In the Premier League, City, Southampton and Crystal Palace have the most expensive pie at £4. In Scotland, at £1.20, the cheapest pies are at Forfar and Queen’s Park. Scottish Championship side Livingston sell the most expensive pie, charging £2.50. Manchester United, Liverpool and Southampton have the most expensive cups of tea at £2.50. The cheapest can be bought at Conference club Braintree for 80p. Burnley and Manchester City have the cheapest tea in the Premier League at £1.80. In Scotland, League Two side Elgin City charge just 60p for a cup of tea, the cheapest of the clubs contacted in the top four divisions of Scottish football. The most expensive cup of tea in the top four divisions of Scottish football can be bought at Celtic, Dundee, Dundee United, Hibernian and Inverness at £2.20. JSP helps raise awareness for the British Association for Sustainable Sport. 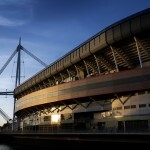 Cardiff’s Millennium Stadium is the venue when BASIS hosts its Annual Sustainable Sport Conference on Tuesday 21st October 20014. The meeting will bring together people from professional and community sport including governing bodies, clubs and venues along with policy makers, academics and others. The common thread is the desire to implement sustainable development principles into the way venues run their organisations to reduce environmental impacts, enhance the local surrounding communities and reduce the costs of operations. Omar Mitchell (National Hockey League) will speak about their ground breaking sustainability assessment of the NHL. Libi Jardine (Resource Efficient Scotland) will speak about sustainability at the Glasgow 2014 Commonwealth Games. Andrea Collins (Lecturer at Cardiff University) will present assessments of the environmental impacts of major sport events in the UK, including the FA Cup Final, RBS 6 Nations, and UK stages of the 2007 Tour de France. The event will be concluded by a number of breakout sessions lead by sports industry leaders from Sport England, the Institute of Groundsmanship, the European Healthy Stadia Network, National Union of Students/British University and College Sport among others. Topics include sustainability in community, professional and university sports, energy use in sports venues, driving sustainability in your supply chain and sports turf management.